I am curious if Miami takes a page out of the Rams playbook and hires a young innovative offensive mind but pairs him with a stud D-Coordinator (Bowles, Williams or Joseph). Also think the new coach may look at D. Parker and see value. Obviously not at the $9m price tag but he wont get near that on open market. But for a 1-year $3-4m, knowing they aren't going to compete for a few years? Why not? I'll be the first one to say he is an absolute bust given the 4 years and body of work. But sounds to me he was always in Gase's doghouse and Dolphins just may not have utilized him or developed him like they should have. New coach might be able to get something out of him. Until a new coach comes in and assess's the roster, with Grier, we wont know who is safe and who is not. Since Gase had 53 man roster control, Grier may see more value in guys that didn't see the field. Keeping McDonald is a must IMO. He is still young and relatively cheap. So many CB get hurt and Minkah will have to slide in. McCain proved this year he is not a boundary corner. Drafting a QB in 2019? Sure if you can nab someone in the 3rd of 4th round (Daniel Jones, Duke Jarret Stidham, Auburn etc.). You'd better do your homework and think someone this year will be better than the 3 coming in 2020. Do not waste a first rounder in 2019 for the sake of drafting a QB. Much Much Much better talent in 2020 and Miami knows and admits this will take time. Almost a certain they will be picking in Top 5 in 2020. Build a culture where old guys that are situational want to come to for cheap rather than a payday. McCain is a dime corner on a good defense. I think the biggest problem we have had the last 3 years is Gase's tendency to want to address a problem with a free agent, instead of a draft pick. He seemed to have very little patience. That being said, on NFL network they ranked the open HC spots and Miami was ranked second to last. They each said that with the Patriots in the division, a new HC will have to accept the reality that Miami won't be a division contender for at least 3 to 4 years, and that the Jets were further ahead due to having Darnold. Only the Bengals were ranked lower. Unless Ross can bag Jim H. I don't think that we will have a chance at the hotter coaching prospects out there. I do know that NO ONE will out pay Jim H. over Ross. The rumor floating around right now is that the floor for Jim H. is 12 million a year. I think the biggest problem we have had the last 3 years is Gase's tendency to want to address a problem with a free agent, instead of a draft pick. He seemed to have very little patience. That being said, on NFL network they ranked the open HC spots and Miami was ranked second to last. Ouch! Time to turn things around. #1.... Gase had nothing to do with the draft. He may give input on a guy here and a guy there, but lets be very clear.... Gase had nothing to do with the actual picking of players. That was the Tannnenbaum/Grier and even sometimes Ross show. #2 If Kilgore, Sitton, A. Wilson, Tannehill, Grant and Hayes didn't miss a significant amount or the entire season, He is probably still the coach. Don't forget X. Howard missed the final 4 games. A. Wilson and Grant were becoming such a big part of the offense that defenses just couldnt keep up with when they got hurt. I am not an Adam Gase apologist, but the guy found a way to put up massive yards and points against the Bears with a backup QB, Beat the Pats without X. Howard. Miami should have been 10-6 this season. The reason Gase is gone is because he needs to be more of a leader. Calling out players in press conferences instead of taking the blame is something he will learn. There is a reason so many teams wanted to talk with him. He exposed Tannehill indirectly by sticking with him. I just hope he goes to AZ and not the Jets. As an outsider, per your comments you think they are 10-6 but they could have easily been 6-10 with losses to the bills after a dropped pass in the endzone by charles clay who was wide open, bears blowing it at the end with a missed fg in OT and the fumble at the end of regulation, the raiders blowing it and having a complete meltdown in the 4th qtr, and the jets throwing a pick 6 towards the end for the phins to solidify the win. So as easy as you saying they could have been 10-6 they could have been worse then their current record. Each team has injuries to throw as an excuse, titans were without 3 of their starting 5 olineman and mariota got injured against the phins, so the outcome could have been different, etc. The thing you have to look at is his statistics on each side of the ball and in the 3 years including the year they went 10-6 not one offensive statistic was above half the league meaning each stat on offense was 16th or worse in his 3 years which is Gase's specialty. If the defense was struggling consistently but the offense was holding their own then firing Gase would have been an issue and could blame that but his offense was as bad as the defense with or without injuries. A good coach will now how to get the next man up and motivated to play, may not produce the starters stats but could still get something out of him. 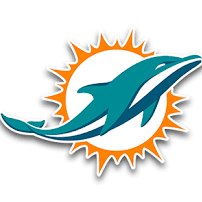 I just think Gase isnt a HC and the dolphins made the right move by firing him. If the bills weren't in to total rebuild this year and they had the same squad as last year, but the defense struggled and ended up with their current record I would be calling for the bills HC head but he has proven in the 2 years he has been there with being handicapped on cap space he still managed to take an awful Rex Ryan defense who was ranked 20th or worse to now top 5-10 in each category. You have to look at a coach that can do that for the phins in order to not only be playoff contender but a push for a superbowl run. This exactly, Gase's biggest problem was his massive ego. No one, and I mean no one, could give him advise that he would listen too. And when all of his bad decision came crashing down around him at the end of the season, instead of talking to the man he should have been answering to, Ross, he wouldn't even pick up the phone. He wasn't lying at the press conference that he felt that he didn't need to lobby for his job, he thought that he was safe no matter what. This was what finally convinced Ross to fire him, he was in employee that felt that he wasn't accountable to anyone. If any of you have worked in management, you know how destructive that is to morale. Players like Jones, who was the ultimate team player, began to openly question Gase to the media. Even Wake, one the best human beings in the NFL, wouldn't answer questions about Gase's future. Gase was a big stinking turd that needed to be flushed. I hope that Gase learns from this, however, I'm not going to hold my breath. This experience was so bad for Ross, that he has changed his entire thought process on what type of coach he wants.